We’d love your help. Let us know what’s wrong with this preview of Mending the Moon by Susan Palwick. Melinda Soto, aged sixty-four, vacationing in Mexico, is murdered by a fellow American tourist. Back in her hometown of Reno, Nevada, she leaves behind her adopted son, Jeremy, whom she rescued from war-torn Guatamala when he was a toddler—just one of her many causes over the years. And she leaves behind a circle of friends: Veronique, the academic stuck in a teaching job f Melinda Soto, aged sixty-four, vacationing in Mexico, is murdered by a fellow American tourist. Back in her hometown of Reno, Nevada, she leaves behind her adopted son, Jeremy, whom she rescued from war-torn Guatamala when he was a toddler—just one of her many causes over the years. And she leaves behind a circle of friends: Veronique, the academic stuck in a teaching job from which she can't retire; Rosemary, who's losing her husband to Alzheimer's and who's trying to lose herself in volunteer work; Henrietta, the priest at Rosemary's and Melinda's church. Jeremy already had a fraught relationship with his charismatic mother and the people in her orbit. Now her death is tearing him apart, and he can barely stand the rituals of remembrance that ensue among his mother's friends. Then the police reveal who killed Melinda: a Seattle teenager who flew home to his parents and drowned himself just days later. It's too much. Jeremy's not the only one who can't deal. Friendships fray. But the unexpected happens: an invitation to them all, from the murderer's mother, to come to Seattle for his memorial. It's ridiculous. And yet, somehow, each of them begins to see in it a chance to heal. Aided, in peculiar ways, by Jeremy's years-long obsession with the comic-book hero Comrade Cosmos, and the immense cult of online commentary it's spawned. To ask other readers questions about Mending the Moon, please sign up. Brilliant. As always, Palwick cuts to the core in straight-forward, affecting prose. The last two pages are so sad and moving, but in a way exactly what you have been waiting for the entire book, it may change the way you read forever. When I received Mending the Moon by Susan Palwick from Tor, I have to admit, I was taken in by the pretty packaging. It's beautifully bound, has a gorgeous, simple cover, and I wanted to pick it up and read it right away. So I read the inside description and I was immediately moved from interested to confused. Tor is well-known for publishing fantasy and sci-fi (through the Forge imprint) so what was a book about grief and murder doing in my hands? I almost let it get to me. Almost. So let this b When I received Mending the Moon by Susan Palwick from Tor, I have to admit, I was taken in by the pretty packaging. It's beautifully bound, has a gorgeous, simple cover, and I wanted to pick it up and read it right away. So I read the inside description and I was immediately moved from interested to confused. Tor is well-known for publishing fantasy and sci-fi (through the Forge imprint) so what was a book about grief and murder doing in my hands? I almost let it get to me. Almost. So let this be a lesson - don't let first impressions get the better of you. What I found in this book were many, many good things. First, it's smart writing. I'm graduating from a small, liberal arts college this Saturday, and the descriptions in this book (from both students and teacher's perspective) of college life are spot on. Especially the literary class descriptions. In fact, I found myself wanting to take a course that was described and it actually gave me a research bug of my own. But it's not all the school part that is the smart writing - it's all just intelligent, good, solid, story-telling. Secondly, there is never any promise about answers. Because that is not what this book is about - the jacket flap will tell you that much. Instead, through a rather genius way, the story is told through a mirror. That mirror? The medium of a comic-book-type set of heroes created by four computer science kids. It's actually quite brilliant... and once I understood what was happening the Tor publisher clicked for me. I suspect I will revise this review after I've had a chance to mull this over. I could say all kinds of wonderful things about this book. Right now, I'm stuck on the ending. I had the fear towards the end that she was going to use the same plot twist she had used in Necessary Beggar (which also featured a surprising murder.) So I was relieved that she didn't go there again, but was sad and disappointed that there was nothing in its place, no explanation about hows or whys. I usually like endings I suspect I will revise this review after I've had a chance to mull this over. I could say all kinds of wonderful things about this book. Right now, I'm stuck on the ending. I had the fear towards the end that she was going to use the same plot twist she had used in Necessary Beggar (which also featured a surprising murder.) So I was relieved that she didn't go there again, but was sad and disappointed that there was nothing in its place, no explanation about hows or whys. I usually like endings with some ambiguity, but I was hoping for something at the end that would give us some surprise and a hint of a why and without that the resolution felt flat to me. In real life we don't get those whys and we need to go on without them (and that's largely what the book is about) but even if the characters' loved ones don't get the answer I would have liked some hint as a reader of a novel. I suspect there are hints in the comic book sections that need more reflection. Which is why I think I'm either going to figure it out later and give it the fifth star, or decide there is no ending at all and be frustrated and take a star away. Melinda Soto is murdered, and her killer commits suicide not too long after. This is the story of the grieving process of the people most closely connected to them. It is told as long chapters covering the bereaved as the deaths receded into the past, with shorter interlude chapters describing a metaphorical comic book about the struggle between order and chaos. The prose is stylistically minimalistic, which initially put me off as I found the characters to very shallow emotionally. I came to re Melinda Soto is murdered, and her killer commits suicide not too long after. This is the story of the grieving process of the people most closely connected to them. It is told as long chapters covering the bereaved as the deaths receded into the past, with shorter interlude chapters describing a metaphorical comic book about the struggle between order and chaos. The prose is stylistically minimalistic, which initially put me off as I found the characters to very shallow emotionally. I came to realize that was a mistake on my part. The immediate 1-second emotionally responses are indeed simple, however the book is portraying the grieving process over a time span of months where these instantaneous emotions are only a single stitch of a single thread in the broad tapestry of a person's life. The simple prose helps keep the focus away from the individual sentences and opens the reader to seeing a larger picture. Human. Humane. Smart. Affecting. Painful. Hopeful. Moving. I can think of a string of adjectives better than I can describe my thoughts after closing this novel. Like Palwick's previous novels, it made me feel and think, and I feel like a wiser person for having read it. A rare and wonderful thing. It would be hard, based on the plot summary alone (murder! grief! ), to explain to people why exactly I wanted to read this book, but in my perfect world, I would just have to say that it's by Susan Palwick, and comprehension would blossom on faces, and all would be well. I was gently cautioned that this was a mainstream novel, but this wasn't the concern it might have been with other speculative fiction authors; Palwick's writing strengths never seemed overly dependent on the fantastic. The heart It would be hard, based on the plot summary alone (murder! grief! ), to explain to people why exactly I wanted to read this book, but in my perfect world, I would just have to say that it's by Susan Palwick, and comprehension would blossom on faces, and all would be well. I was gently cautioned that this was a mainstream novel, but this wasn't the concern it might have been with other speculative fiction authors; Palwick's writing strengths never seemed overly dependent on the fantastic. The heart of her stories, for me, have been characters who ring true no matter how hard you strike them, while dealing with complex issues in a graceful yet realistic manner, with all the shades of subtlety and implication. When I first got Mending the Moon, I opened it up, read the first page, found it both luminous and grounded, and immediately closed the book because I could tell it was going to be a deep dive, and I had to speed-read a different book that was due back at the library that day. I came back to this one shortly thereafter and settled in to a kaleidescope of perspectives: first a young Melinda, staring into the night sky with her mother's warm presence by her, giving the book its title; and then, several decades into the future, her somewhat surly college-aged son, Jeremy, dreading a class taught by one of Melinda's friends (Veronique Bellamy, whose intials are amusingly shifted to mean "Very Bitchy" in Jeremy's mind). Then the professor herself, and even a priest -- I don't think you can write a modern-day novel about death without bringing in some religious reflections, and Palwick doesn't shy away from this, while not smothering the reader in it either. There are no shortage of sit-coms about a group of young, hip friends who all hang out together. Here you see the bonds of friendship lasting not through the cool twenties and thirties, but rather enduring trials like a spouse with Alzheimer's, a plateaued career, an absconded lover, an adopted child from a different cultural heritage that tangles uncomfortably, brutally even, with the parent's. Melinda is central to the group, and yet even with her violent death, there remain strands that weave them together still. Bring in the point of view of the mother of the murderer, and find all the ways she fits in as well -- delicately, unexpectedly. They're all just so human, with Jeremy navigating the perilously fragile mood that descends upon hearing the news ("If he moves, he'll break something. If he breathes, he'll break something.") and then an uncertain romantic crush that never threatens to magically heal all this wounds, just develops into a new connection, another person to reach out to; even the bitchy professor deals with her hungry cats ("...they're wailing and mewling outside, butting the door with their heads. You never feed us. You have never fed us. Not once in the last thousand years have you fed us."). Anna, the murderer's mother who also has to deal with her son's suicide, has to juggle her family's sudden notoriety with her husband's distance, intrusive in-laws, the dog's need for walks -- all mundane things, and yet very real problems, compassionately described and, despite the way my own writing might make it sound, never boring. An odder, apparently more controversial common thread: a comic book hero, Comrade Cosmos, who rallies people against the Emperor of Entropy's chaos, and has become quite the media darling, to the point of obsessive fans. At first I liked the symbolism here more than the actual content -- a superorganizing superhero? but how else to stand up against that most inevitable of villains -- then found myself looking forward to these chapters of comic storyline. CC (as he's called) has a spandex allergy, cares for disabled family members, and his sidekick is an ordinary librarian, but his enemy does things like change a rock-scissors-paper competition to include earthquakes and fire, which gave me a little whiplash, but I can't think of a truer hero than one who, lacking magic powers, weeps with a mother who has to arrange for hospice care for her son, who has leukemia. Cosmos's hair is a little thinner than it was when we first met him, a little grayer. Although he is still young, his face is more lined and his eyes more troubled. In his bedroom he keeps a copy of The Velveteen Rabbit, which Anelda read to him when he was a little boy. Sometimes he reads it to himself. Sometimes he reads it to Vanessa and Charlie. What the story means to him is that wearing out -- feeling threadbare, exhausted, done in -- is proof of having been greatly cherished. The book itself is falling apart, but he won't replace it. His mother's hands held it once. Jeremy is a fan of the comic; his mother's killer was too, offering a fraught point of similarity. This meta aspect is more tangled, but I will say that the point near the end where I had to put this book down for several long moments because I was simply too overwhelmed by emotion -- that point was when Jeremy realizes something about the comic that echoes through all the mountains of his mourning. I haven't been hit that hard by a book for a long time, and I still feel a little tender from the impact. The actual ending was perhaps a little too emphatic afterward, and despite the patness of some final arrangements, you will never know exactly what drove the killer to do what he did, but that's not the point. This isn't a book about death. It's about healing, the long, slow way. The nearest comparison I can think of is Patricia McKillip's Night Gift, although that one's directed at a young adult audience and deals with an attempted suicide attempt rather than the aftermath of murder -- but that's another book that I picked up based solely on the author, and was richly rewarded for. Original review posted at Layers of Thought. Shellie’s quick take: Mainstream fiction with a separate storyline that is speculative in nature. This is a subtle page-turner that has a heartrending story juxtaposed with a narrative about a comic-book superhero called Comrade Cosmos. Shellie’s description: When 18 year old Jeremy Soto’s single mother is murdered by a young male tourist during a solo vacation to Mexico, his grief is understandable, but as horrible as he feels he must pick up the pie Original review posted at Layers of Thought. Shellie’s description: When 18 year old Jeremy Soto’s single mother is murdered by a young male tourist during a solo vacation to Mexico, his grief is understandable, but as horrible as he feels he must pick up the pieces of his life. But it’s not just Jeremy who has to get past the violent death of his mother Melinda; there are others who are reeling from her loss - Melinda’s close circle of friends, mature characters who have life complications of their own. Then there is the murderer’s mother Anna who has the heartbreaking job of dealing with her son’s suicide as well. All of this culminates when Anna invites Jeremy and Melinda’s friends to her son’s funeral. What gives this book an interesting twist is that the subjects addressed in the main story are contrasted with those of a popular comic-book series, which are covered in alternating chapters. Shellie’s thoughts: This is an unusual book and it has a deep message. It examines the roles of chaos and order in the world, with the author questioning the effects of trauma and hardship on characters. In so doing she attempts to answer the question: what do we do with an impossible situation, one that we cannot fix or change? With that in mind Mending the Moon pulls in issues such as loss through death, divorce, and Alzheimer's, contrasted with friendship, responsibility, love, forgiveness, and moving through grief. This leaves a lot of room for emotional content in the book and the author uses the space very well. It is highly recommended, with its well-developed characters and rare-to-see main female characters aged 60-years plus. I think it would be a good selection for a book group since there are many issues that can be discussed. It’s also a perfect read if you’re interested in superhero comics or character-driven emotional novels that pull you in and keep you reading. I read this book in a matter of days – a rarity for me. 4.25 stars. I think I got this book under false pretenses. For some reason after reading the description I had the idea that it was some sort of feminist urban fantasy, which was what I was in the mood for when I picked it up. I discovered quickly that this is a book about how people deal with death and loss- unexpected and violent death and loss of a loved one, no less, which wasn't what I was prepared to be dealing with. I think that I got the idea that this book ranged into speculative fiction because ther I think I got this book under false pretenses. For some reason after reading the description I had the idea that it was some sort of feminist urban fantasy, which was what I was in the mood for when I picked it up. I think that I got the idea that this book ranged into speculative fiction because there is a fair bit about comics within it. The author spends quite a bit of time detailing a fictional comic book and its fans. Basically, fans either identify with Comrade Cosmos- a superhero who believes in working to make things better- or his enemy, the Emperor of Entropy- who, as you might guess, believes in the chaotic decay of the universe. Fans undertake public works projects or mischieviously sow chaos. Sometimes fans "switch sides" because something happens to them that makes them change their world view. In short, it's a sort of bludgeonly way of giving a lens through which to view how the book's characters deal with a sudden, senseless death. It's as though the author despaired of her audience understanding her themes unless she was absolutely crystal clear. It doesn't really read as though she's read many comics herself. The setting for this novel is Reno, Nevada. Melinda Soto, aged sixty-four, vacationing in Mexico, is murdered by a fellow American tourist from Seattle. Her son Jeremy, adopted from Guatemala, is in his English class at college when he gets a call that his mother has been killed. She leaves behind a circle of friends: Veronique, the academic stuck in a teaching job from which she can't retire; Rosemary, who's losing her husband to Alzheimer's and who's trying to lose herself in volunteer work; H The setting for this novel is Reno, Nevada. Melinda Soto, aged sixty-four, vacationing in Mexico, is murdered by a fellow American tourist from Seattle. Her son Jeremy, adopted from Guatemala, is in his English class at college when he gets a call that his mother has been killed. She leaves behind a circle of friends: Veronique, the academic stuck in a teaching job from which she can't retire; Rosemary, who's losing her husband to Alzheimer's and who's trying to lose herself in volunteer work; Henrietta, the priest at Rosemary's and Melinda's church. Jeremy can barely stand the rituals of remembrance that ensue among his mother’s friends. Then he learns that the guilty boy flew home to his parents and drowned himself just days later. The rest of the book focuses on Melinda's friends' reaction to her death and the fraying of friendships. Jeremy inherits the house and Rose, Hen and Veronique come over and go through her personal things to save Jeremy from the ordeal. An invitation comes from the murderer's mother to come to Seattle for a memorial to her son and each of them begins to see in it a chance to heal. A sub plot deals with Jeremy's years-long obsession with the comic-book hero Comrade Cosmos, and the immense cult of online commentary it's spawned. When it’s said and done, Mending the Moon isn’t a book you read when you want to laugh and have an easy mental vacation. This is a book that makes you think about family and relationships and exactly how these two things work together to create our own little realities. Mending the Moon is a story told on multiple levels. It’s deep, somber, raw and incredibly emotional. 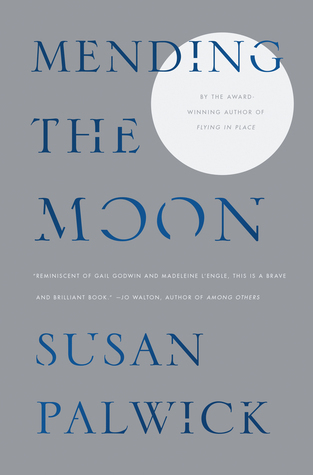 This is one of those books that sticks with you long after you finish reading it, and it’ll have you analyzing the people in yo When it’s said and done, Mending the Moon isn’t a book you read when you want to laugh and have an easy mental vacation. This is a book that makes you think about family and relationships and exactly how these two things work together to create our own little realities. Mending the Moon is a story told on multiple levels. It’s deep, somber, raw and incredibly emotional. This is one of those books that sticks with you long after you finish reading it, and it’ll have you analyzing the people in your life and what they mean to you. This is a story about bonds of family and friendship, and even a bit of hope in a hopeless situation. Plus, it’s light on the fantasy, which makes it appeal to a wider audience. 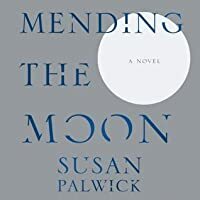 Basically, Mending the Moon isn’t what you’d expect, and despite that (or perhaps because of it) it’s one of the most emotionally charged, unique and well written books I’ve read in a while. This novel is a step-by-step illustration of how one might emerge from horrific grief...along with a comic book plot sequence thrown in randomly for good measure. The story was heartbreaking and thought-provoking. I just could not reconcile the comic book hero plotline with the main story. Yes, there were English 101 common themes one might identify...but I never felt that the two plotlines really belonged together or meshed well. I kept reading in hopes of finding out "why?" but the author does This novel is a step-by-step illustration of how one might emerge from horrific grief...along with a comic book plot sequence thrown in randomly for good measure. The story was heartbreaking and thought-provoking. I just could not reconcile the comic book hero plotline with the main story. Yes, there were English 101 common themes one might identify...but I never felt that the two plotlines really belonged together or meshed well. Palwick, as always, tells a riveting story, this time about the aftermath of a brutal crime on the families of both the victim and the killer. As well, Palwick writes convincingly about a comic book series about Comrade Chaos and the Emporer of Entropy. Palwick smoothly balances the shock and pain for both families, although she never reveals the why of the crime. Sometimes there just is no answer. Unfortunately, I made the mistake of reading this book late into the night, so the haunting final sc Palwick, as always, tells a riveting story, this time about the aftermath of a brutal crime on the families of both the victim and the killer. As well, Palwick writes convincingly about a comic book series about Comrade Chaos and the Emporer of Entropy. Take this in the best possible way: it hurt to read this book. It's about unimaginable loss and deep grief. Reading about such suffering is hard. I cried along with the characters as they dealt with their world being ripped apart. Palwick nails the tone and rhythm of mourning. It's painful, but hopeful since we track the characters through experiencing intense suffering to finding ways to continue living. Palwick's writing is beautiful, her plotting understated and spot-on. A beautiful, difficul Take this in the best possible way: it hurt to read this book. It's about unimaginable loss and deep grief. Reading about such suffering is hard. I cried along with the characters as they dealt with their world being ripped apart. Really not sure what to think about this one. She's always a good writer, but like Flying in Place, it's a hard topic (dealing with a murder), and I didn't really like the comic piece - just kept getting stuck on how stupid it seemed. I received this as a first-reads giveaway. The author tells a sad, moving story, and I did care about the characters. But the addition of the comic book super-hero sections got too confusing for me, so I must admit that I didn't give those parts quite as much attention as I should have. I realize this side story played into the "real-life" story, but I just couldn't get into it. A gentle, thoughtful, heartrending novel about family, friendships, and picking up the pieces after loss. Very touching; I had to take my time and digest it slowly. Not for everyone, but well worth a read. I think I would have rated this 3 or maybe even 4 stars had it not been for the Captain Cosmos storyline. I'd find myself immersed in the characters and story until a CC chapter would yank me rudely out of it and I'd have to force my way through it until the story picked up again. Highly recommended! Do yourself a favor and read this novel. 'Nuff said. Need to add in an ARC edition of this. A fascinating story about how books can help when your life falls apart. I've had this book for awhile and for whatever reason I waited until now to read it. I'm glad I finally did though. It wasn't what I expected, but really good nonetheless. Susan Palwick is always good. Warning: parts 1 and 3 of this are really sad though. Susan Palwick is an Associate Professor of English at the University of Nevada, Reno, where she teaches writing and literature. Raised in northern New Jersey, Palwick attended Princeton University, where she studied fiction writing with novelist Stephen Koch, and she holds a doctoral degree from Yale. In the 1980s, she was an editor of The Little Magazine and then helped found The New York Review Susan Palwick is an Associate Professor of English at the University of Nevada, Reno, where she teaches writing and literature. Raised in northern New Jersey, Palwick attended Princeton University, where she studied fiction writing with novelist Stephen Koch, and she holds a doctoral degree from Yale. In the 1980s, she was an editor of The Little Magazine and then helped found The New York Review of Science Fiction, to which she contributed several reviews and essays. Palwick's work has received multiple awards, including the Rhysling Award (in 1985) for her poem "The Neighbor's Wife." She won the Crawford Award for best first novel with Flying in Place in 1993, and The Alex Award in 2006 for her second novel, The Necessary Beggar. Her third novel, Shelter, was published by Tor in 2007. Another book, The Fate of Mice (a collection of short stories), has also been published by Tachyon Publications.